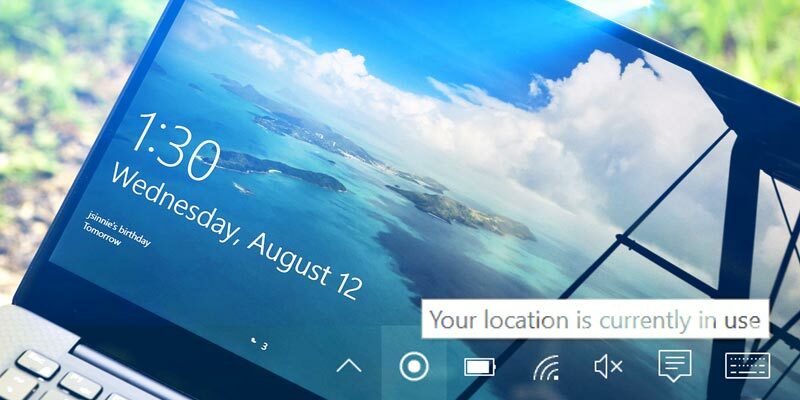 When using Windows 10, you may encounter the “Your Location Is Currently in Use” message. In this article we’ll explain what this message means and what you can do about it. What does “Your Location Is Currently in Use” mean? 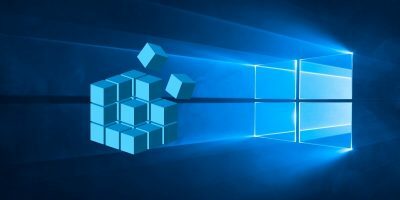 In short, this message means that a Windows 10 application (downloaded from the Windows Store) is tracking your location, typically through an on-device GPS sensor, though Wi-Fi networks and ethernet connections can also be used for these kinds of services. Basically, you see this message as a polite notification from Microsoft that your location is being tracked. Certain applications may need location services to function properly (e.g. 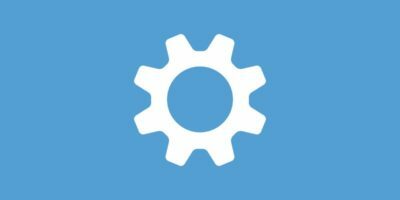 a GPS/navigation app), but if you feel like an application you’re using doesn’t need to know your location, there are a few ways you can change it. 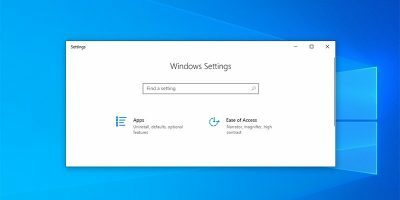 On Windows 10 press your Windows Key or open the Start Menu. Next, type “Location Privacy” and click “Location Privacy services” to pull up a Window that allows you to change your Location settings. However, you may prefer to allow certain apps to access your location. Keep scrolling down to see a list of apps allowed to use your location services. 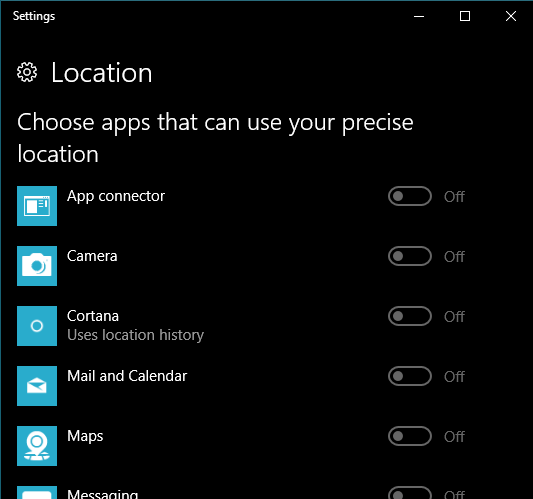 If you’re a fan of things you can do with Cortana, for instance, you may want to enable location services for that specific application so it can continue to function properly. Think carefully about your privacy and the apps you enjoy using before heading in and disabling features like this. If you were paying attention earlier, you may have noticed that I only referred to “Windows Store apps” as opposed to “Windows 10 apps.” This is because only Windows Store applications are affected by the Location service in Windows 10. 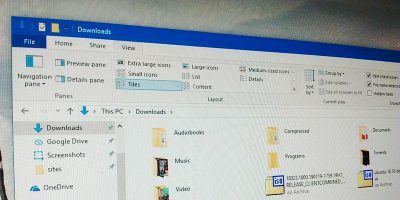 Executables you get elsewhere, such as Google Chrome, can still get location data via WiFi networks, your ethernet connection and Google’s own location-approximation tech. Your IP address, seen by many sites and applications, can still tip others to your location unless you’re using a proxy or a VPN. 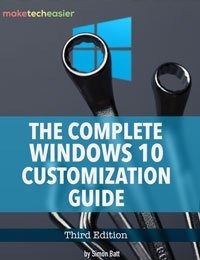 Disabling the Windows 10 location function won’t do anything to help you there. 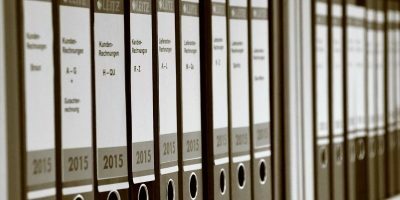 If you’re looking to protect your in-browser privacy, here’s one article for Chrome and another for FireFox.. 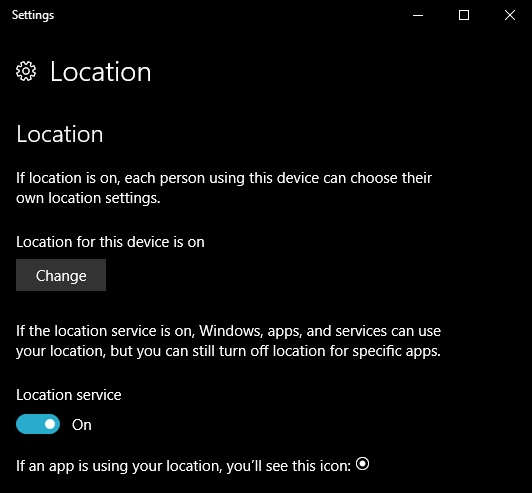 In short, “Your Location Is Currently in Use” is a message that you’re receiving because an app you’ve acquired from the Windows Store is using Windows 10’s location service to determine your location. Disabling this service will prevent this behavior but won’t effect other applications (like most web browsers) which figure out your location through other means. 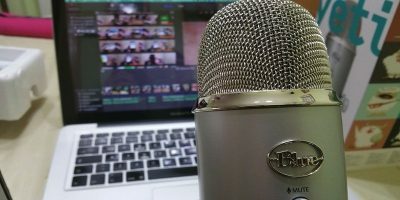 If you have any questions, sound off to me in the comments below, and I’ll do my best to answer them. Big Brother and Nanny state and all the other bogeymen are watching at all times. Switching the notification that you are being watched and monitored does not in fact stop anything. 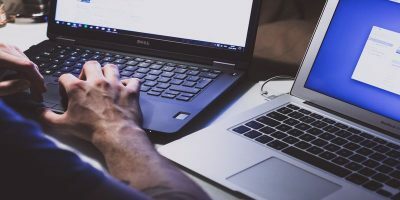 They will continue to do all their data-collection and read your email and categorise which ads seem most appropriate to you by monitoring which sites you visit or your location. If you want Privacy in this day and age throw all your electrical devices away and go and live were no-one else cares to. If you want the convenience of the system it has always been “their system their rules”! I can’t even write a reply to your site without the grammar and spell-check police polluting my writing with squiggly red lines because I use British English and Not Googlese!